Head early to Rada Street before the lunch crowd of Legazpi Village swarms around this Jollijeep favorite: freshly cooked sisig with egg that you can buy for less than one hundred Pesos. 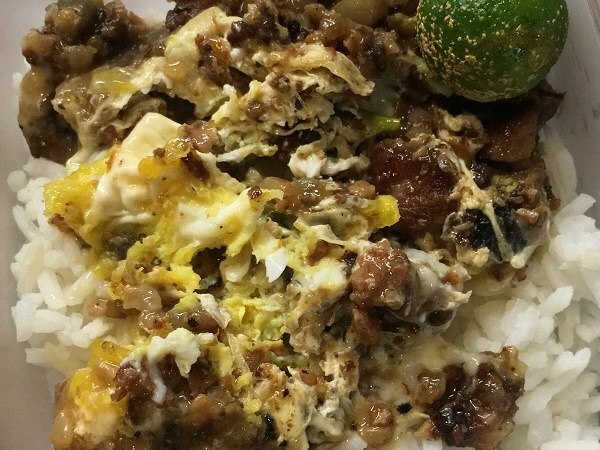 Absolute streetside steal: get this Sisig Rice for only P55! This humble cult favorite is known by its fans as 'Sisig sa Rada,' although the food stall also sells other ulam aside from this delightful porky dish of chopped pig's face and runny egg. 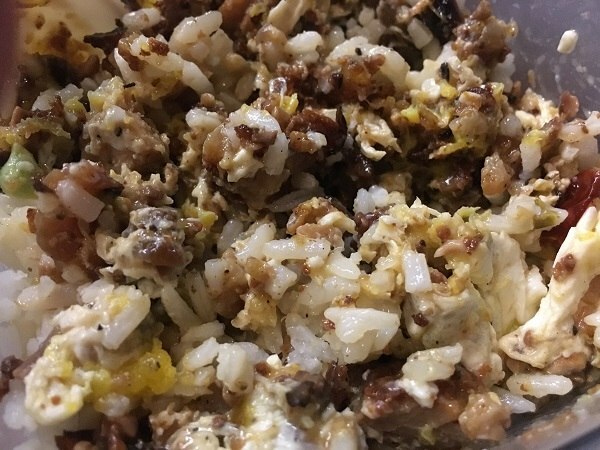 Fans have created an unofficial Facebook page for it, and have shared their sisig foodtrip on Instagram -- the long queues and 'worth the wait' experiences, plates of rice waiting to be mixed with the fatty pork dish, and how this sisig just always hits the spot -- at P45 for sisig alone and P55 for sisig and rice, how can you go wrong? 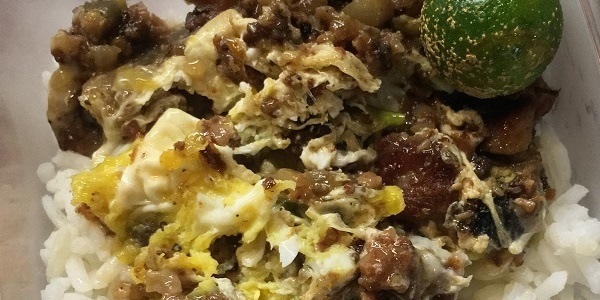 If you want grab-and-go grub for cheap, then this sisig is truly for you. 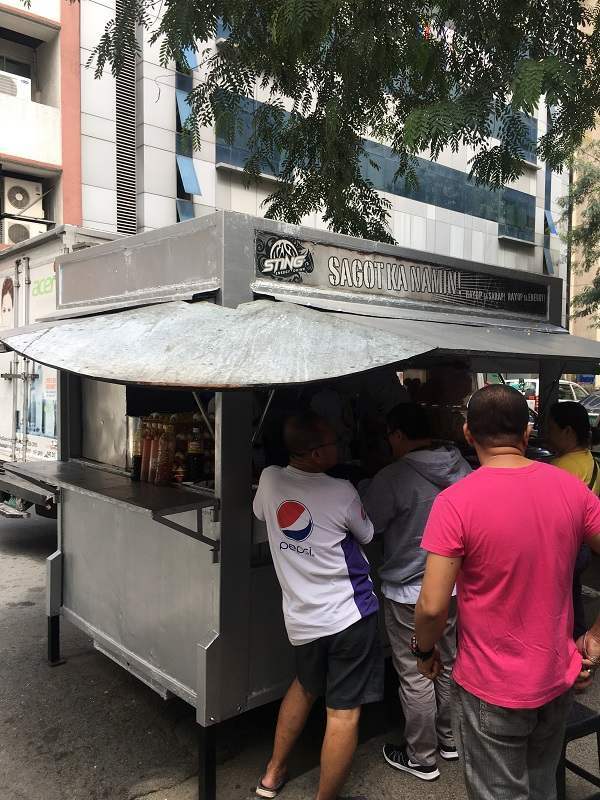 You can enjoy this sisig with rice at the Metrochef/"Jollijeep" silver food truck as takeaway, as most customers bring their bags of ulam back to the office during the lunch hours. If you can't wait to eat yours, then prepare to eat it while standing by the food stall, and expect a crowd during lunch -- so you might just have to eat it by the street while holding your own plate. Their version of the sisig is fatty and chewy, with little bits of crunch here and there, and spiced with just enough sili to tickle the palate. An egg coats everything, its yolk moist and working its silky rich texture into the mix. Squeeze a bit of the calamansi and mix everything in with your rice -- and your day will be made. 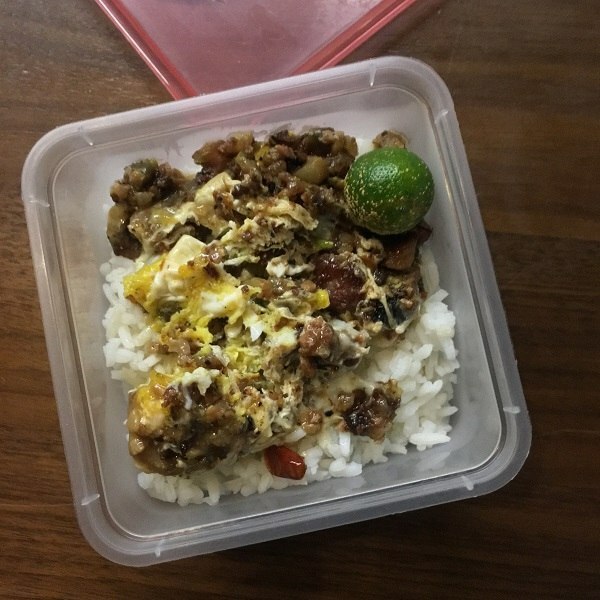 The simple joy of cheap eats really does hit the spot during the daily grind, and this famous sisig is a most welcome pork-and-fat laden break from the rush of office work. Eat of the Week dishes out a must-try from a restaurant in the metro every week, so you can add them into your to-eat list. Many of our favorite restaurants have a champion dish, that item that help put them on the map (and on everyone's Instagram feed), and here we set out to put the spotlight on a dish you must not miss on your next foodtrip!